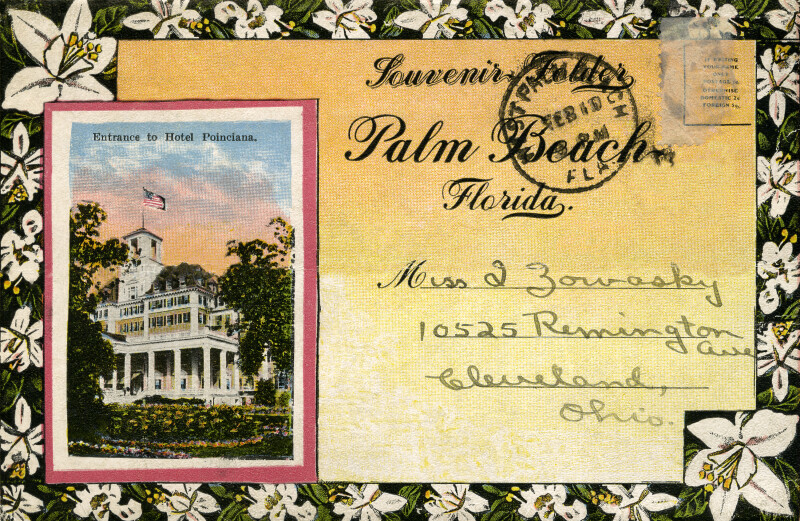 This postcard cover has an inset picture of the front entrance to the Royal Poinciana Hotel. The white columns of the front portico are visible, and there is a white, square tower above the entrance. There are flowering plants decorating the grounds of the hotel.